We were reading the cost justification guide from Cardinal Scale recently and they brought up a good point. It is surprising how many truck scales are manufactured by one company and use load cells from yet another company and a digital weight indicator from yet another company. So if something breaks, where does responsibility for the scale begin and end with each manufacturer? Cardinal Scale Manufacturing is one of the very few companies that manufactures not only the scale weighbridge structure but the load cells and instrumentation that go with it to complete the scale. With Cardinal you really do have single source responsibility and reliability. If you’re thinking about a Cardinal Truck Scale or better yet thinking about going with a hydraulic truck scale, read here. ◾As previously mentioned, lightning and water are the two most common sources of load cell failure. Often truck scales are placed in locations subject to flooding or are subjected to routine high-pressure washings. While digital and analog load cells are sealed against the entry of moisture, they often fail due to damage to a seal or abrasion of a cable jacket allowing entry of moisture. Analog and digital load cells are both subject to lightning damage. The extremely small strands on a strain gauge are especially sensitive to voltage surges. Hydraulic load cells have neither strain gauges nor electrical wire and are immune to damage from both water and lightning. If your scale will be in a location subject to spring time thunderstorms, you should give serious consideration to Cardinal’s Guardian hydraulic load cells. ◾Guardian hydraulic load cells operate by sensing weight via fluid pressure, which means that they require no power within the scale itself. You won’t lose any operational time when lightning or other power issues strike at the scale location. Guardian load cells carry a lifetime warranty against lightning and power surges. ◾Unfortunately, it is a fact of life that if something can be overloaded, it will. Same goes for shock loading on a truck scale. Whether you’re filling trucks with rock or ore, shock loading will take place. Both analog and digital load cells use a steel spring element to sense the load. Applying a shock load, even one less than the capacity of the load cell, can and will cause permanent damage to the load cell rendering it unusable. Cardinal’s Guardian hydraulic load cells, on the other hand, act much like a shock absorber on your automobile dissipating the shock load in the hydraulic fluid. ◾Hydraulic tubing from the load cells is terminated at the scale house by a non-conducting Goodyear rubber line. This creates an important barrier of protection, preventing lightning from traveling into the scale house where your load-sensing digital weight display is located. ◾If you’ve ever experienced costly downtime and repairs due to lightning or a power surge, the Guardian hydraulic truck scale can help you save in the future. We can definitely confirm to you that customers are buying hydraulic truck scales. Yes, they are more expensive than traditional truck scales with analog load cells but for quite a few customers, they feel the added costs up front are worth it. Lightning and water are the two most common sources of load cell failure. Often truck scales are placed in locations subject to flooding or are subjected to routine high-pressure washings. While digital and analog load cells are sealed against the entry of moisture, they often fail due to damage to a seal or abrasion of a cable jacket allowing entry of moisture. Analog and digital load cells are both subject to lightning damage. The extremely small strands on a strain gauge are especially sensitive to voltage surges. Hydraulic load cells have neither strain gauges nor electrical wire and are immune to damage from both water and lightning. If your scale will be in a location subject to spring time thunderstorms, you should give serious consideration to Cardinal’s Guardian hydraulic load cells. Rice Lake Weighing Systems SURVIVOR® truck scales are commonly referred to as the Toughest Scales on Earth®. They are designed to provide reliable performance under the most demanding conditions. SURVIVOR truck scales are built with more structural steel, a superior support structure and innovative design features that provide consistent accuracy, less downtime and longer scale life. Each SURVIVOR is built with the exclusive five-step finishing process. Take a look at some of the different Rice Lake Survivor truck scale models below. The SURVIVOR OTR Series truck scale is an outstanding design that incorporates the most advanced engineering and production technology to manufacture the highest quality vehicle weighing system in the marketplace. The ATV is rigidly constructed for heavy-duty weighing, yet lightweight and compact for convenient portability. The pre-assembled modules (available in lengths from 10 – 30 ft.) and unique self-seating hinge connectors provide easy installation, expansion and relocation for your growing business. The SR concrete or steel deck modes are ruggedly designed with massive outboard beams available in a bolted or welded design. Load cells and mounting assemblies are easily accessed in the rugged, reinforced load cell pocket, through side access. The PT Series truck scale is available in many standard sizes to satisfy most requirements, but we also understand that pit-type installations often involve replacing and existing mechanical or electronic scale. SURVIVOR® M Series Levertronic Scales combine innovative features with time-proven durability that only a mechanical scale can deliver. In a market crowded with scales manufactured to compete on price alone, SURVIVOR M Series Scales are built from the ground up for lasting performance under the most extreme conditions. SURVIVOR railroad track scales incorporate Rice Lake’s best-in-class weighbridge design to create a rugged, accurate heavy duty weighing system. Used in static weighing operations, the SURVIVOR RT Pit Type railroad track scale and the SURVIVOR PL Modular Type railroad track scale excel in high-accuracy, legal-for-trade weighing and meet AREMA and Cooper E-80 design specifications. Rice Lake’s livestock scales are built from the ground up for lasting performance under the most severe circumstances. Whether you choose the RoughDeck™ SLV for single animal weighing or the SURVIVOR® AG, LV or LS, you’re getting the Toughest Scale on Earth®. Take a look below at “Six Facts” regarding heavy capacity solutions from Rice Lake. Did you know for applications where steel is preferred or downtime is critical, a great choice would be the SURVIVOR® OTR Steel Deck. Operational within a day, this easy-to-install steel deck scale sets the standard for truck scale design and performance, keeping downtime to a minimum. Tightly spaced wide flange I-beams form the industry’s strongest weighbridge design, weighing as many as 250 trucks per day for 25 years without a trace of weighbridge fatigue. Weighbridge design and the weight of structural steel used directly affect the life of a truck scale. Many truck scale designs incorporate low grade, non-certified steel and an inferior design to reduce the cost and decrease production time. These reductions also reduce the life of the scale. Rice Lake SURVIVOR® series truck scales utilize up to 30% more steel than most competitive models and incorporate a longitudinal highway bridge design. More I-beams are strategically placed longitudinally with the traffic flow to ensure tire support regardless of truck position. Load cell pockets that are welded or bolted to exterior I-beams allow excessive bending and flexing, causing damage to the weighbridge. Bumper bolts loosen and break. Check rods bind. Rice Lake’s SURVIVOR® series truck scales are designed with the load cell pocket integrated into the steel structure of the scale. The pocket is built inside the outer I-beam, offering a more durable, long-lasting load cell pocket. The SURVIVOR® series scales feature the G-Force™ self-checking mounting system, eliminating the need for check rods or bumper bolts. Closed-bottom weighbridge designs with both top and bottom plates, typically using lighter weight components, create cavities that tend to hold moisture causing rusting of internal components. Rice Lake’s SURVIVOR® steel deck truck scales feature an open-bottom design providing unrestricted airflow eliminating rust causing moisture buildup, which accelerates rusting of internal steel and imminent scale failure. Harsh environments and corrosive materials can quickly deteriorate improperly finished truck scale components. Rice Lake’s SURVIVOR® series truck scales are steel shot blasted according to the highest industry standards to remove mill scale and surface imperfections. An asphalt emulsion undercoating is applied to all non-visible steel surfaces on all steel deck models to protect against moisture damage. High-performance epoxy primer and specialized hard-coat alkyd enamel is applied to all visible steel surfaces for a car-like finish that protects the scale from the elements. Replacing truck scales on existing foundations or fitting truck scales to unique locations or space limitations need not incur extra design fees. Rice Lake’s SURVIVOR® series truck scales can be custom-built to fit almost any application. These truck scales are only a part of the equation. Rice Lake offers not only the scale, but also the complete solution for your weighing application. From automated ticketing and truck transaction data collection systems to intelligent controllers like the 920i, to advanced cell diagnostics. And of course no truck scale is complete without a Ticketpress ticket printer and Laserlight Remote Display. What are some other features metal recyclers need to look for inside a truck scale? There are several attributes recyclers ought to take into account when making the decision to purchase a 70 foot long truck scale, which includes deck plate thickness. Recyclers are normally handling a high traffic frequency daily on their truck scales, so weighing machine strength becomes a important aspect. For instance, Cardinal Scale produces truck scales with 3/8″ thick steel decks for maximum strength and resiliency to handle hefty loads over the long haul for exceptional overall performance. An additional quality element to look for is factory-assembled load cells secured in the truck scale. 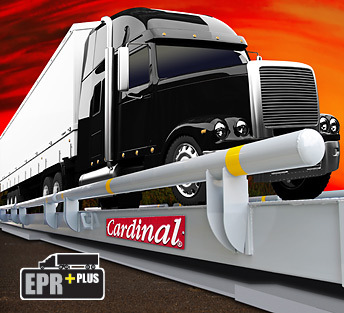 Every Cardinal truck scale is 100 percent factory assembled and examined prior to shipping to a job location. This requires calibrating the whole 60 foot long truck scale to make sure appropriate set-up before shipping for exceptional accuracy. Usually, a 70-foot-long truck scale dimensions are sought after in the recycling business to be in a position to allow for weighing semi-tractor trailers. Stainless steel, USA-made load cells and a NEMA 4X stainless steel junction box for load cell wiring can also be important to check for when making the decision to buy a vehicle scale. Load cell openings that are welded or bolted to exterior I-beams make it possible for too much bending and flexing, leading to damage to the weighbridge. Bumper bolts ease and crack. Check rods bind. Rice Lake’s SURVIVOR® series truck scales are made with the load cell pocket incorporated into the steel framework of the scale. The pocket is built within the outer I-beam, offering a far more durable, long-lasting load cell pocket. 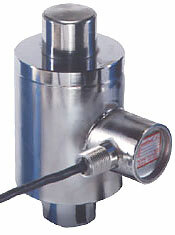 Load cell pockets are made out of heavy-duty steel plates incorporated into the design of the scale. Large wide-flange I-beams encompass the pocket integrating it into the weighbridge structure. This adds extraordinary strength and dependability to a extremely critical section of the weighbridge.